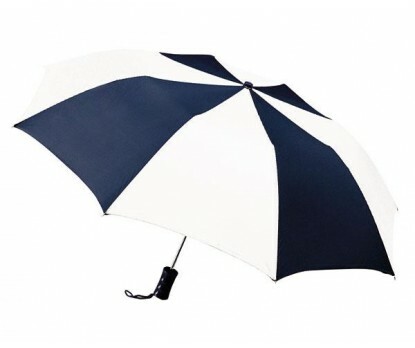 Personalized navy & white 44” arc barrister auto – open folding umbrellas look very convictional and are mostly employed as a part of a reliable marketing strategy. This means marketers who are wary of other big budget investments can easily rely on this umbrella because this navy & white combination looks very authentic and people will definitely love it. This auto – open folding umbrella can be easily carried around using the strap attached to its plastic handle. 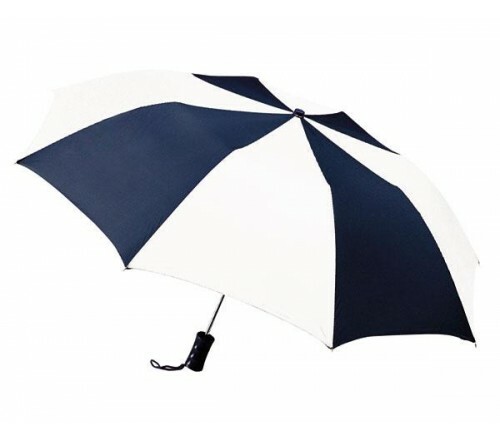 The umbrella grabs its impressiveness from metallic shaft and its bright 44” arc navy & white canopy. Imprint area – 9 ¼ “W X 6 ¼” H X 6” top. 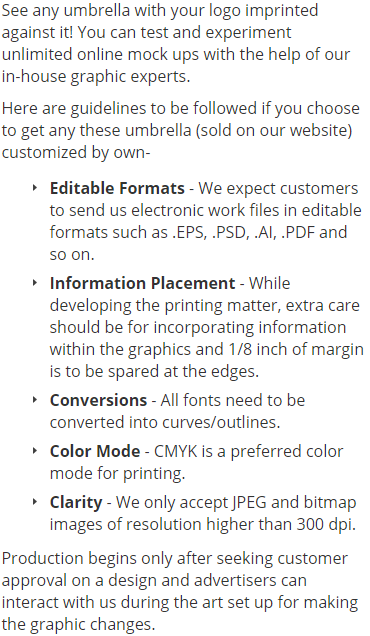 Dimensions- 44", folds to 15".